Let's talk about some key strategies that encourage and support teamwork and collaboration. Organizations that value teamwork and collaboration are not free of conflict. On the contrary, these organizations address conflict, not to quickly get rid of it and restore a sense of peace, but to work through it to find new and more creative solutions to problems. No change takes place without conflict. In their book, Opening Doors to Teamwork & Collaboration, Judith Katz and Frederick Miller write about four key strategies that organizations must practice in order to work through conflict and create successful change. These are: Lean into Discomfort, Listen as an Ally, State Your Intent and Intensity, and Share Your Street Corner. What does it mean to Lean into Discomfort? Sounds like something we definitely don't want to do because, well, it's uncomfortable. With the rapidly changing world marketplace, we can't afford to stay in our comfort zones. It doesn't matter that everything is working smoothly today. Change will come and we have to be able to adapt. We'll be forced into discomfort. 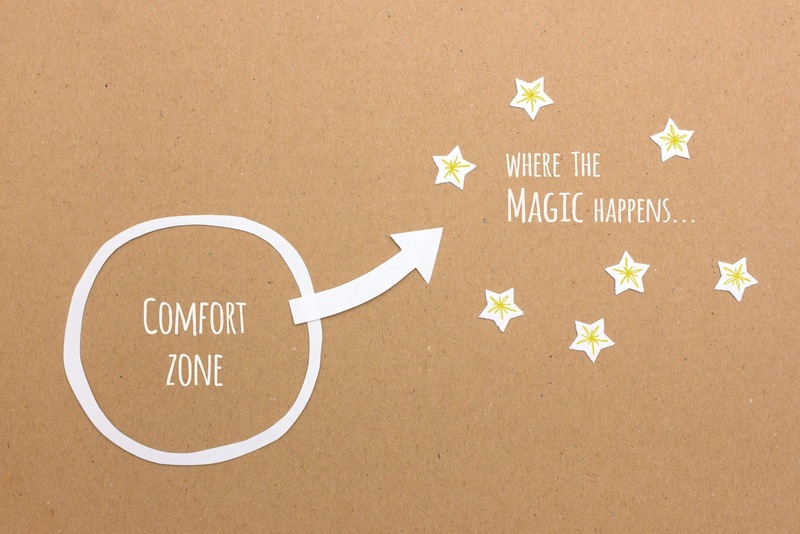 Leaning into Discomfort means taking a risk and being open to what is new and initially uncomfortable. It may mean speaking up when you are feeling hesitant. It could mean trying on a new behavior. This is going to feel awkward at first, but soon it will become your new normal. When one person chooses to Lean into Discomfort, he or she helps create an environment of trust. Soon other people will feel safe enough to express their ideas. So how do we do this? Katz and Miller come up with some practical suggestions. They talk about prefacing your remarks by using the terminology of Leaning into Discomfort. You might say, "I am going to Lean into Discomfort and..." Start now. This could be something as small as greeting your employees and co-workers by name if you don't do this already, speaking up when you normally would remain silent, and perhaps even sitting in the front of the room instead of the back where you customarily sit. Discuss with your group what you need and what they need in order to feel secure enough to speak your and their minds. When others Lean into Discomfort, offer words of appreciation for their risk-taking and acknowledge their viewpoints. This first step encourages an environment of trust, safety, and security, where people feel they can be honest with each other. This in turn opens the door to greater teamwork and collaboration. In our next blog post, we will cover the second strategy, Listen as an Ally.